So yesterday the beans were finally spilled that it will be the Magician’s Nephew that is the next book in The Chronicles of Narnia that will be adapted into a film. Now I had been one of a select group of fans who had adamantly supported The Silver Chair as the next book that should get adapted and not just for continuity’s sake, as Eustace, played by Will Poulter, in the only character that crosses over to that book from Dawn Treader. The fact that this debate exists is interesting and indicative of a few things that are unique about the Narnia series as opposed to other fantasy properties. First, it needs to be acknowledged that the chronology was always likely to be fractured. Those seeds were sewn by C.S. Lewis himself. 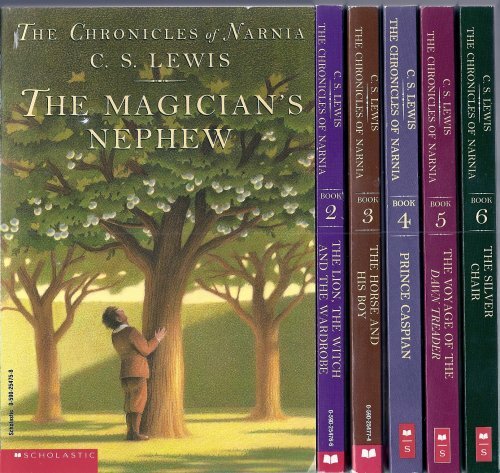 For it was Lewis himself who wrote The Magician’s Nephew after the other six installments and pleaded, mostly to no avail, that it be read before The Lion, the Witch and the Wardrobe. As a child I did not read it as such. When the first film was about to be released I searched for information on reading order and finally took the tales in properly. Of course, we all know The Lion, the Witch and the Wardrobe was the first film and subsequently that the producers decided that it was to be the Pevensie tales would be told first. Whereas in other fantasy properties you typically have a continuity in the personages populating the tale. Lewis, however, is true to the name of his series and this series are about the stories and about the land rather than a particular lead or group thereof. If one adheres to Lewis’s reading plot the books that have been adapted thus far are numbers two, four and five. The decision to go to The Magician’s Nephew, an origins tale, at this point is a curious one on a few accounts. Firstly, I find it a bit of a curious business decision. The Voyage of the Dawn Treader just crossed the $400 Million mark in international box office receipts and it is a film that took the somewhat unusual path in this day and age of building by word-of-mouth. Due in part to the disappointment most felt in Prince Caspian it didn’t break out of the box strong but had staying power when people realized this one is very good indeed. With a franchise redeemed, at least in a financial sense, it would seem like the most obvious decision in the world to go next to the one tale that had any sort of connection. Furthermore, it needs to be noted that while the film doesn’t make it explicit I assumed Will Poulter is playing quite a few years younger than he is in Dawn Treader. Given some time off he may not look the part of Eustace as much as he does now. Not that I think he’d be replaced but it just might seem a bit awkward or need a bit of a re-write when the Silver Chair‘s time does come. With this sort of momentum I even entertained the wild fantasy that funding would be sought for both potential next films to shoot simultaneously and release one shortly after another. The fact of the matter is the remaining volumes need not all have the same director as each has its own sensibility. Pipe dreams aside, personally I would’ve liked Silver Chair next not just because I prefer that story but because it made more logical sense. The series has already pleasantly surprised me in two of its three installments so I am more than willing to withhold judgment but as I said it strikes me as odd. With Narnia being by its very nature a more fragmented series it does raise some doubts as to what its cinematic future is. Let us assume the tale works as well as possible and the marketing draws in enough fans new and old, then what? After The Magician’s Nephew the books that remain are: The Horse and His Boy, book number three, a more introspective tale than any of the others. It always struck me as having a Carol Ballard’s Black Stallion vibe, which would make it rather an artistic venture and as such it’s a gamble. I can’t see the producers gambling twice in a row so I predict this book would be the 6th film of the series. The Silver Chair being the runner-up this time around would thus be the 5th film adapted and naturally The Last Battle would close out the series. If films four and five connect then I think it’d be safe to assume they could afford a gamble and a closing chapter. When it started there were no guarantees, and there still isn’t, that this series would see completion. It’s an older property than the other big budget films and has Christian overtones, which do not appeal to some but it’s never been about that to me it’s been about great storytelling. In conclusion, I do like The Magician’s Nephew and definitely think there’s potential there with new cast members and story which re-examines some familiar motifs. I am just not sure it was the right choice as the next film. However, if it does well this series will be one step closer to following in Harry Potter‘s footsteps, proving you can plan a massive series and achieve it. If you consider that I believe two of the first three Narnia installments trump Potter it is very exciting news regardless of which novel they chose to adapt next.